Mobileye N.V., the Israeli designer of camera-based Advanced Driver Assistance Systems, or ADAS, for active safety and automated driving, has won two contracts to outfit vehicles with its EyeQ4 chips as standard equipment by the end of the decade. The two contracts are expected to result in the installations of “millions of units” when production peaks in the 2019-22 time frame, the company said today on its first-quarter earnings call. Mobileye did not name the carmakers. The company also said the number of automakers with which it is working on autonomous vehicles has grown from eight to 13 since its initial public offering last summer. The number of its chips installed in new vehicles during the first quarter was 816,000, bringing the total to more than 6 million, Mobileye said. 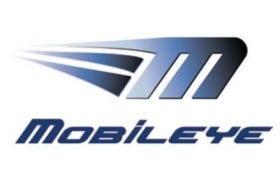 Mobileye reported first-quarter revenue of $45.6 million, up from $35.6 million in the same period the previous year. The company reported a first-quarter operating profit of $12.7 million compared with a $15.5 million loss the year before and posted net income of $10.1 million compared with a loss of $19.6 million the year before. Founded in 1999 by Aviram and Amnon Shashua, a researcher in artificial intelligence and machine vision at Hebrew University in Jerusalem, the company has emerged as a leader in camera-based sensors for autonomous driving and active safety. Mobileye has developed vision systems increasingly being adopted by carmakers in such features as adaptive cruise control, lane departure warning, forward collision control, automatic braking, pedestrian and object recognition and traffic signal recognition. The company’s IPO last summer raised $890 million.